Go live at the Federated Auto Parts 400 with PRIMESPORT! Enhance your weekend with the Torque Club which includes all you can eat food, unlimited soft drinks, drink tickets, pre-race pit passes, and more! Book your Federated Auto Parts travel package with PRIMESPORT, the Official Travel Partner of Richmond Raceway. Plan your trip to come see short track racing with a superspeedway feel live in person. Experience the 2019 Federated Auto Parts 400 with one of our Official Travel Packages for the best NASCAR weekend available. Packages include Race Tickets, Race Day Transfer, FanVision Rental, and Daily Breakfast. Don’t miss a chance to catch NASCAR’s best under the lights, get your Official Travel Package for the Federated Auto Parts 400 today! Richmond Raceway, known as America’s Premier Short Track, offers some great racing action and a commitment to the fan experience. One of the most popular facilities among drivers and fans in all of motorsports, Richmond Raceway annually hosts two NASCAR doubleheader weekends, featuring the NASCAR Monster Energy Cup Series and NASCAR XFINITY Series, on a 3/4-mile D-Shaped oval. 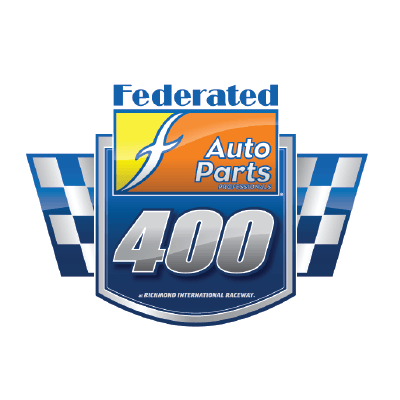 The Federated Auto Parts 400 is held each year at Richmond Raceway and was originally run as the Richmond 200 in 1958. Beginning in 1991 the race became NASCAR’s second ever night race, moving start time from Sunday afternoon to Saturday night. Richard Petty has the most impressive resume at this event winning 7 times between 1967 and 1974 including 5 straight trips to victory lane. The one man to beat Petty during that stretch was Bobby Allison, who captured his first of an all-time second-best 5 victories in the Federated Auto Parts 400 in 1969. At that time the race was only 250 miles and did not settle on a distance of 400 miles until 1976. Because of the races proximity to Patriot Day, the pledge of allegiance is part of the opening ceremonies in order to honor and remember the victims of the September 11, 2001 terror attacks.